In 2016, Forest Park Forever was proud to launch its Artist in Residence Program – Forest Park's first-ever artist residency – as a special initiative in honor of the organization's 30th anniversary. This program welcomed three artists to the Park for three-week residencies. These three artists had very different artistic practices and their projects utilized the Park in unique ways. One of our participating artists was The 442s, a local acoustic quartet comprised of two jazz musicians and two members of the St. Louis Symphony. 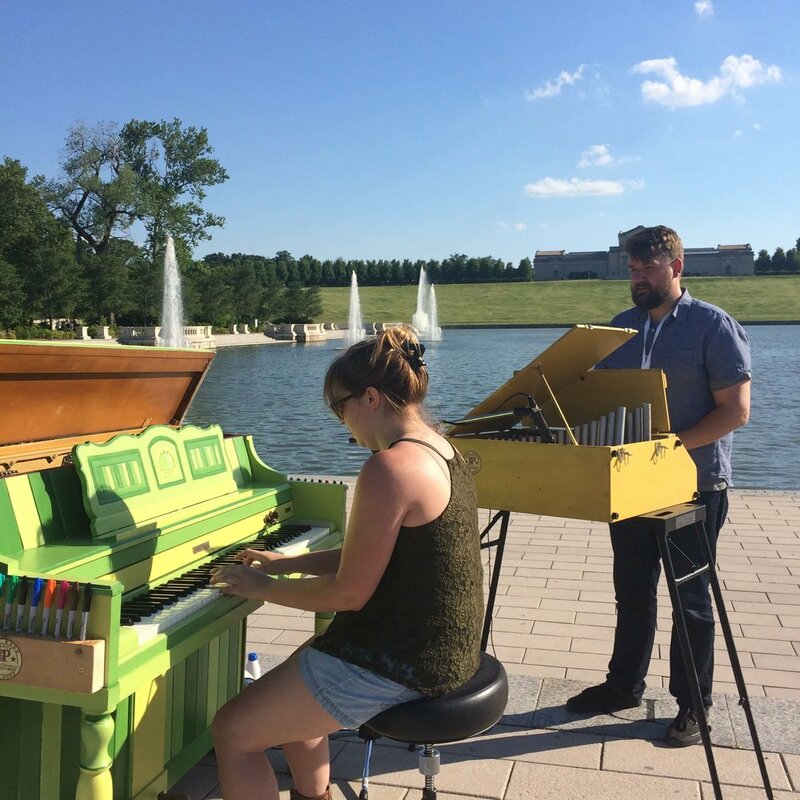 Last June, the band brought musical pop-ups to various locations throughout Forest Park, with one member of the band playing his instrument alongside a piano that could be played by anyone who happened to be passing by. Bjorn Ranheim played his cello at the World's Fair Pavilion, Adam Maness brought his glockenspiel to the Emerson Grand Basin, bassist Sydney Rodway was at the Boathouse, Shawn Weil played his violin behind the Dennis & Judith Jones Visitor and Education Center, and frequent 442s collaborator Montez Coleman joined the project to bring percussion to the recreational path near Jefferson Lake. 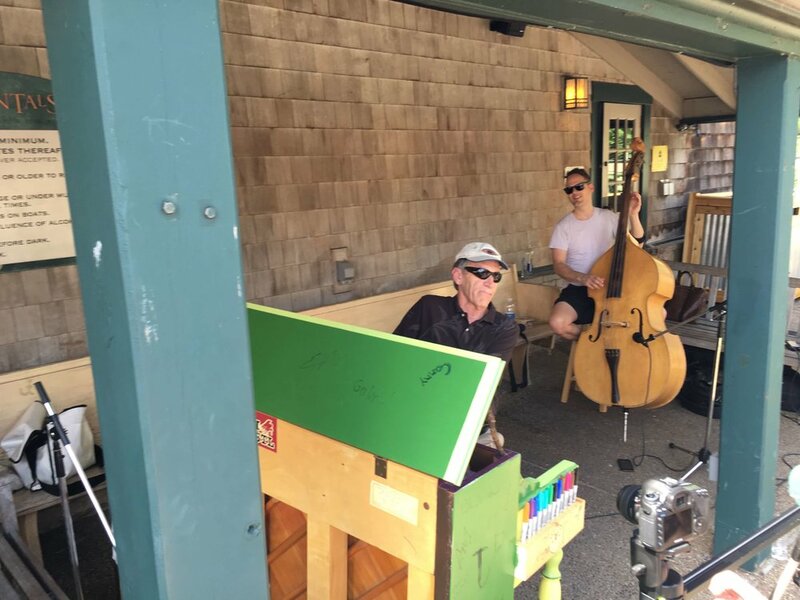 BLACK KNUCKLE is the first of a 3-part suite of videos and original compositions created by The 442s during their residency. The band debuted the finished piece at a public performance in September, 2016. The video below contains documentation of everyone who was game enough to join the band on the piano (from professionals to complete novices), the music that they all created together and an additional layer of music Adam Maness composed for the full band to play over it all. Many thanks go out to The 442s for their hard work and creative vision bringing this project to life. The Forest Park Forever team was thrilled to help facilitate such a fun, interactive project. Thanks also to Five Owls Productions for their work shooting the video over a series of very hot days in the summer of 2016.